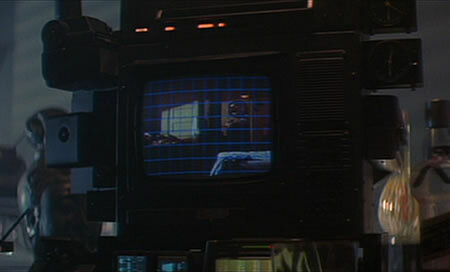 One of my favorite scenes in Blade Runner shows Deckard analyzing a photo he obtained from the personal effects of one of the replicants. He just pops it into his handy Esper photo analysis device in his apartment. Using a voice interface, he drills further and further down into the picture until he finds the detail he wants. What would it really take to pull that much detail out of a photograph? Take a look at this video showing a 13.3 gigapixel image displayed on a 22 megapixel display wall. It might be too big for your futuristic apartment. This video shows how we navigate a 13.3 gigapixel image of Tromsø, Norway on a 22 megapixel display wall, using a custom, camera-based multi-touch interface and a custom system for high-performance navigation and visualization of high-resolution datasets. The image was taken by photographer Eirik Helland Urke, who also operates the www.gigapix.no website. He kindly gave us access to his data so that we could present and view it on our display wall. The system for visualizing the high-resolution image is called WallScope. The system was created by Tor-Magne Stien Hagen, and incorporated with Daniel Stødle's Interaction Spaces system for device- and touch-free interaction with display walls. The style of the display interface probably reminds you of the wired glove interface from the 2002 Spielberg film Minority Report. Via Next Big Future; see also the glove interface video from Minority Report.